A.) a filter for a house in the middle of the woods? B.) a fresh, piney scent? C.) a filter for the passenger compartment of your car? Now not all vehicles in the St. Louis area have cabin filters. They are fairly new on the scene in Missouri. About forty percent of new vehicles come with cabin air filters, but the number is growing every year. Cabin air filters can make for a very nice driving environment for St. Louis car owners. Your car can be a haven during Missouri allergy season with very little dust and pollen getting into the cabin. However, like all filters, your cabin air filter eventually gets clogged. When this happens, your heating and air conditioning flow can become restricted. The filter can even get kind of smelly. Poor air flow and an unusual odor can indicate it's time to replace the cabin air filter. The cabin air filter is the filter responsible for filtering the air that is fed into your car or light truck's heating and air conditioning systems. The filter traps dust, pollen, and other foreign particles, preventing them from entering the vehicle and polluting the cabin. Since they work in essentially the same fashion as a regular engine air filter, cabin air filters get dirty and should be replaced when they become excessively contaminated, or at the regular service interval recommended by the manufacturer. 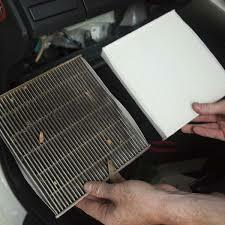 Usually a dirty cabin air filter will produce a few symptoms that can notify the driver that attention may be required. A cabin filter is a simple component that should be replaced when necessary to keep the AC system working as efficiently as possible, and to keep the cabin as comfortable as possible for the passengers. 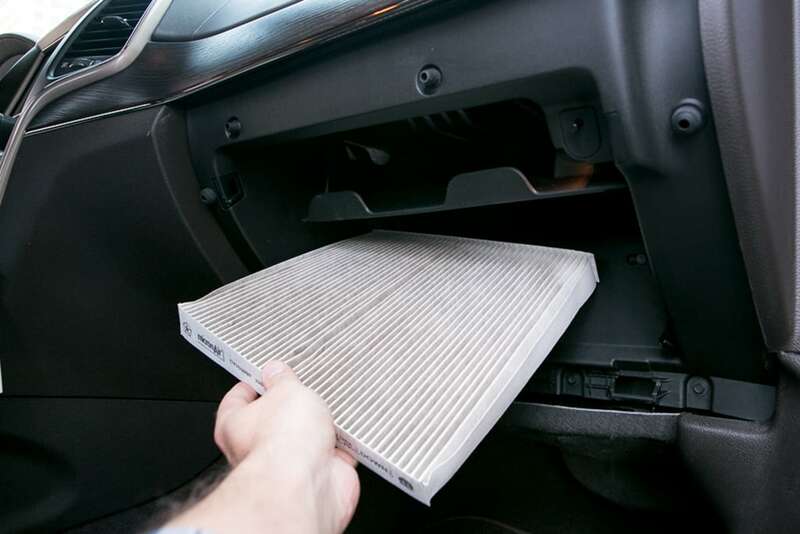 If you suspect that your cabin filter may be dirty, have the vehicle examined by one of our professional technicians, to determine if your car is due for a cabin air filter replacement. 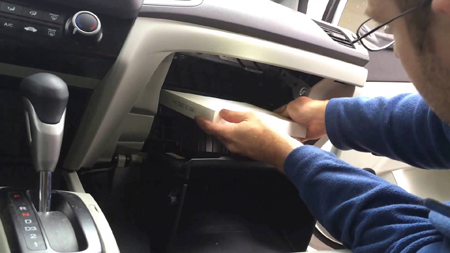 A cabin air filter is a special filter that cleans the air that comes into the St. Charles drivers' passenger compartments – or cabin – of their vehicles. Most new vehicles sold in Missouri now have a cabin air filter. A cabin air filter catches dust, pollen, spores and other pollutants before they can get into your cabin. It's kind of like the filter on your furnace in your St. Charles home, cleaning the air you breathe inside your vehicle. As St. Charles drivers can imagine, it eventually gets filled up and can even start to get smelly. So – you just have it replaced. Now some are really easy to access and others are tougher to get to. Your friendly and knowledgeable Sparks Tire & Auto will be able to take care of it for you. Your 's owner's manual likely has a recommendation for when to replace the cabin air filter. If you live and drive in Missouri where there is a lot of dust, pollen or pollution, the filter will fill up more quickly. Of course, if you're getting a bad odor, bring it to the attention of your friendly and knowledgeable Sparks Tire & Auto service advisor.